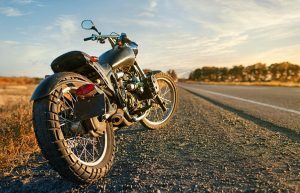 If you own a motorcycle, you probably already know that standard auto insurance policies don’t cover motorcycles and you must obtain a separate motorcycle insurance policy. Five Brothers Insurance is pleased to offer a wide range of motorcycle policy options and will work closely with you to provide a motorcycle insurance quote for a policy that best fits your unique coverage needs. Sadly, many motorists falsely believe that their standard auto insurance policies will cover them while they are operating any motorized vehicle. Instead, you often need additional insurance policies, such as motorcycle, boat or RV insurance, to fully cover you in the event of an accident or injury. At Five Brothers Insurance, our team of dedicated insurance agents are willing and able to provide Tampa Bay area residents with a motorcycle insurance quote from a wide range of insurance carriers. Because we have remained an independent insurance agency all of these years, we are able to provide potential policyholders with policies from any carrier that best meets their needs. While we have the skill, industry knowledge and experience to work with only the world’s most reputable carriers, we aren’t partnered with any specific carriers, so you can trust and rely on us to truly shop for the policy that best meets your coverage requirements. Better still, our team will work closely with you to determine your budgetary limitations and help you select the policies that will cover you and your most prized assets. It is our priority to help Florida residents and business owners find affordable policies that protect them when they need it most. We are proud to serve those in Tampa, St. Petersburg, Clearwater, Sarasota, Bradenton and surrounding regions, so contact Five Brothers Insurance today to discuss your motorcycle insurance coverage requirements and receive a quote today!